The NEX-7 is Sony's high-resolution follow-up to its wildly popular mirrorless, interchangeable lens camera; the NEX-5. 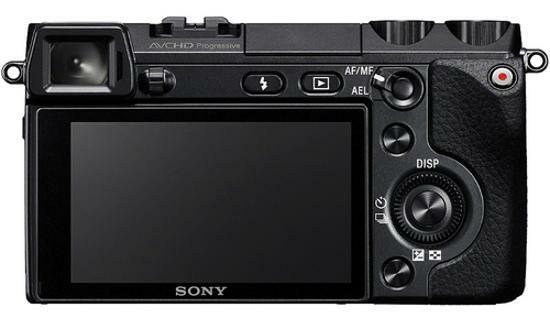 This camera delivers even higher resolution at 24.3 megapixels, more video recording options, and a built-in flash and Sony Alpha hotshoe as well, making it a totally loaded camera that will easily slip into a coat pocket. In fact, some are even comparing it to the flagship A77 camera, as they both share the same sensor and many of the same features. Camera, body cap, strap, battery, and charger. This rental is for the camera body only. Lenses and SD memory cards are not included. A manual is not included. Also, we will make every attempt to have a fully charged battery for you, but we can't guarantee it 100%. If you ABSOLUTELY need a fully charged camera body, please request it via order notes. 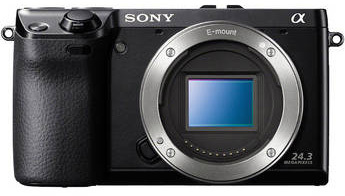 Lens Compatibility: This camera accepts Sony E-mount lenses only.